As we age the natural collagen & elasticity of the skin reduces & along with constant exposure to harsh environment conditions, wrinkles, crow feet & dull lifeless sking is becoming more common in adults above 30. 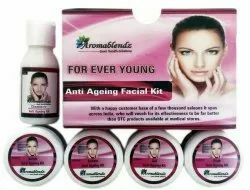 "Prevention is better than cure".Aromablendz Home Facial Spa Kit gives you the power to restore your skin to its natural self..
1)Cleanser: Cleanse for skin tigheting effect. Carrot boosts collagen building thus making skin tight. 2)Scrub: Exfoliate with this walnut shell scrub to tighten the skin and removing dead cells. 3)Cream: Tightens skin, regular massage reduces fine lines, removes freckles and different signs of ageing. 4)Gel: Massage gel onto the skin to hydrate the skin, reducing fine lines making it supple and nouirshed. 5)Pack: Combination of clay reduces, fine lines, blemishes, wrinkles and dull skin. Tones and tighten up the skin. Use & Benefits: Clean & well kept Feet, are an indicator of one?s personal hygiene. Everyday our feet endures the worst of abuse due to uncomfortable tight shoes, excessive sweating, bad walking surface & exposure to pollutants on the road. They age faster than any other body part & are most prone to infection. They demand constant care & attention; yet are the most neglected. 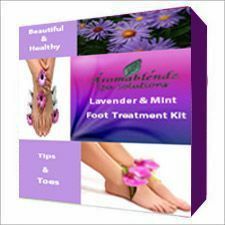 We offer a complete foot care solution ranging from Foot Soak Salt, Exfoliating Foot Scrub, Antiseptic Foot Mask & Intense Moisturizing Cream, which will do away with the cracks, callouses, dry skin, edgy toenails & all other signs of premature ageing. Cost: The Kit last for around 35 to 40 treatments, geting the average cost per application comes to Rs.60 Our products come with a guarantee of Happy smiles ? from all your customers. Recommendations: We strongly recommend a complete procedure per sitting. 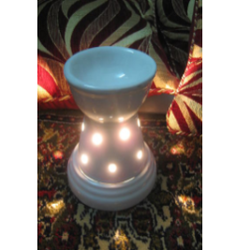 Take this treatment twice a week for the first 2 months & thereafter once a week .